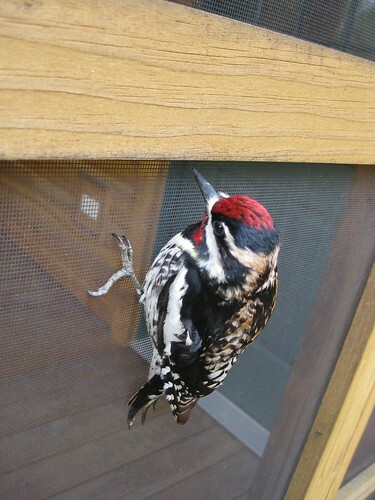 About this time of year we have lots of “suicidal” birds around our house. 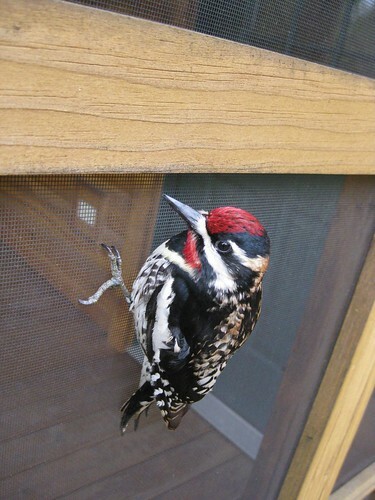 They fly rapidly into our windows and knock themselves out, if not dead. Usually, they are just stunned and have to rest a while before they continue their usual “bird” life. 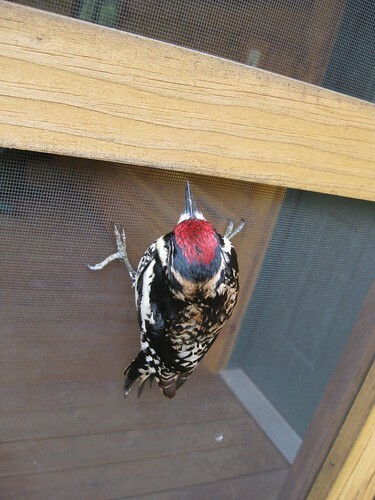 Below is a yellow bellied sap sucker in just such a condition, resting on our screened porch door. It’s not often you can just walk up to one and snap a few photos. Eventually, it did regain enough strength and wits to fly off. Gorgeous bird photos!! Isn’t it amazing how much detail is in their little feathers? Thanks for sharing! Great photos. I had a small unidentified bird hit the french door yesterday, it got it wits about it and when it was flying away it hit the other window. Fortunately with no ill effect. Buy geez talk about adding insult to injury.